Miami is more than just a beach getaway. Sure, it does have an incredible beach, and there are all sorts of different events you can take in while on the sand (or you can just relax and soak up the sun). 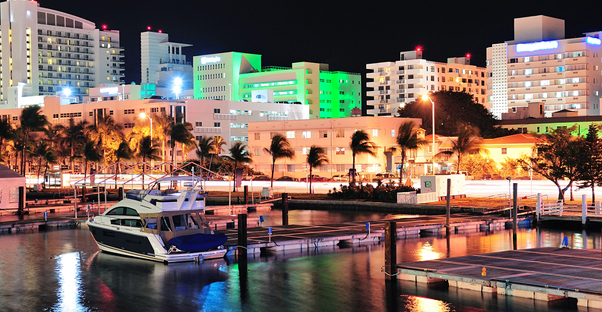 However, regardless of what you are looking for or what you want to do, there are many different places of interest around Miami. So, if you are traveling on your own, for business or with your family, you are sure to have an excellent time in the south of Florida. While this is more a section of town than an actual specific place, there is just so much to see and do around Little Havana that you can't include just one spot. Whether you want a taste straight out of Cuba or you are looking for a small, out of the way dance club, this is the spot for you. Little Havana is home to thousands of former Cubans who have left Cuba over the years, many of whom have taken up residence right here. Even the houses have their own very specific charm, boasting an almost Mediterranean style of housing and bright colors. Plus, while you might not be able to purchase authentic Cuban cigars, you can always purchase the next best thing: cigars rolled in Little Havana. Located right on the bay, you are going to see some rather interesting combinations of architecture and style here. With the European themed place that is located right on the beach, you are going to experience something unlike anything else in Miami. The building actually was erected for a wealthy Chicago resident who vacationed in Miami. The building flaunts its 16th century style and is the perfect setting for something out of the past. It is also an excellent hot spot if you are looking to throw an event or wedding, simply due to the beautiful water scenery overlooking the brilliantly decorated palace. This is for when you want to get out of the hotel room and dance it up in Miami style. You are going to experience an almost retro decor style that mixes with the different flavors and design features that you are going to find around Miami. Plus, it is one of the best spots to people watch, simply due to the wide range of individuals that come to visit the club. No trip to Miami is complete without a visit to South Beach. Here, you are going to soak up the sun and the surf, and no matter how warm the weather is or what time of year, the ocean breeze feels incredible and the water is always warm. This way, you can have that brief moment of cool when you dip your toe into the water. Of course, the only thing that is going to make it that much better is if you accompany the beach with a cool and refreshing beverage from one of the local bars across the street from the beach.